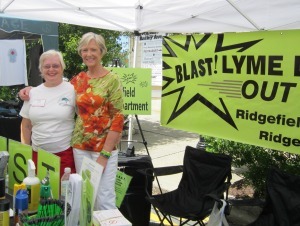 Ridgefield Lyme Disease Task Force member Rita DeBruyne (r.) and Dee Strilowich of Personal Touch Welcome at our BLAST display at the Ridgefield Chamber of Commerce's annual SummerFest. 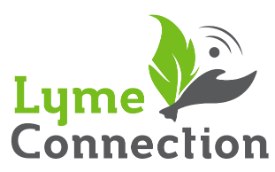 Dee provides Lyme disease prevention information to area newcomers during her welcoming home visits. Rita, a family counselor, is a long- standing Task Force member and advocate for prevention.